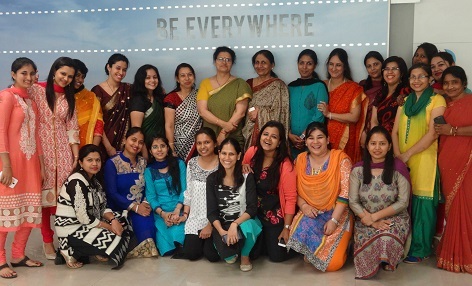 RailTel had evolved unique practices in human resources over the last few years. RailTel have involved a team based project/service handling system which is based on similar strategies adopted by major corporates. These teams are independently made responsible to bring business, create or Roll out Network/Services as per customer requirements/expectations and develop new processes to know customer requirement as per various adjustment due to market dynamics. Because of this, there has been an appreciable growth in productivity per employee. RailTel has also evolved and evolving new processes to further improve employee satisfaction/ organization climate/engagement and competition. 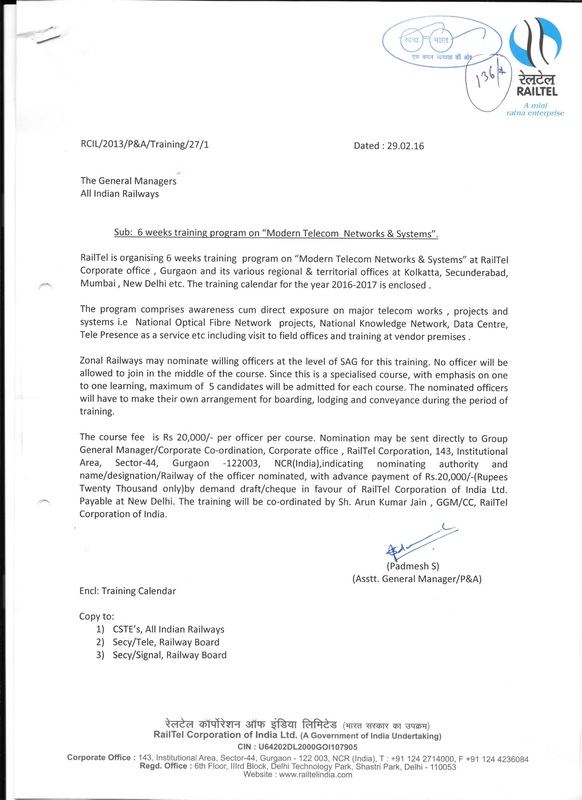 RailTel adopts Great work culture of Indian Railways of taking up complex projects and delivering timely and quality telecom services. RailTel as an organization stands committed towards the continued development of its employees to enable each of them to reach their full potential. In line with this commitment, RailTel is sponsoring the employees with the full fee payment of the courses that an employee opt. This will add value to their existing skills and knowledge, thereby enhancing their ability to perform in the current or future roles and to provide the necessary impetus towards achieving the organization's vision. RailTel sponsors a range of courses from the fields of General Management, Human Resources, Marketing & Sales, Finance, IT, Networks and Supply Chain from premier educational bodies and institutes, like IIMs and IITs. The RailTel also provide for financial aid for professional Technical Certifications for Networks from CISCO, Juniper and etc. The career growth and HRD policies adopted by RailTel provide opportunities to the employees for consistent and comprehensive growth to realize their potential. Any candidate, joining in executive cadre can dream of growing through the organization and occupying a position in the top management including the Board level. The Executive grade with Pay scale are given as under. Understanding the culture of a India, people, or group—the arts, beliefs, customs, practices, values, and social behaviours—lies at the heart of RailTel. 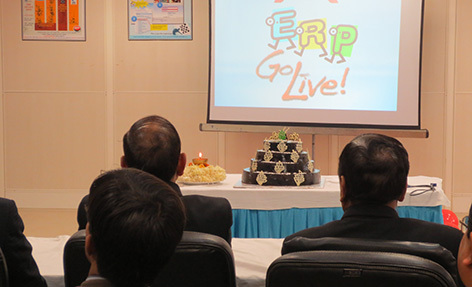 In continuing its efforts towards preserving the rich culture of India, social gathering and cultural events are being conducted by RailTel at regular intervals. 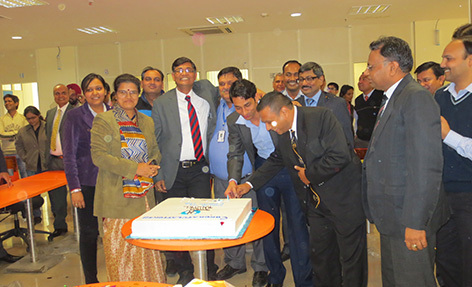 Celebration of all Festivals in office premise, sports day are some of examples of the effort of RailTel to encourage harmony among employees and to promote the culture. The RailTel is concerned about the health of its employees. 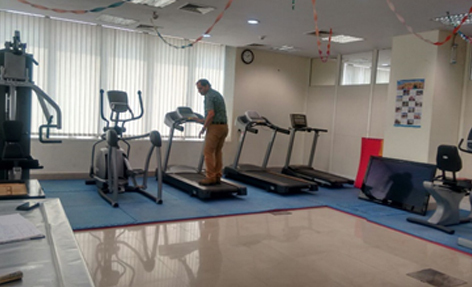 A Fitness centre is built up with all the amenities in pursuit of healthy life for the employees. 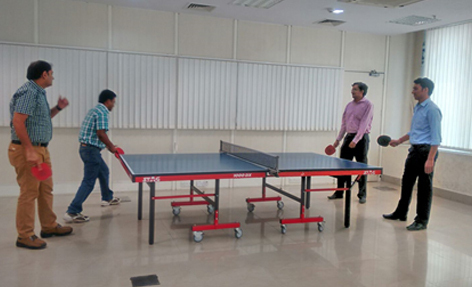 Fitness centres contains all modern Gymnasium machines and offers indoor games like Table tennis, chess and Carom. It is more than 13 years working here, after serving Indian Railways for more than eight years. It has been growing together experience with RailTel. It has given me immense opportunity to develop myself personally as well as professionally by improving my corporate skills, by learning to adjust with changing situations at work. So that I could give my best efforts in terms of productivity and efficiency. 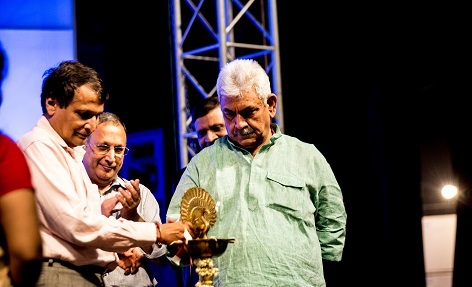 Indian Railways experience has been a catalyst to promote the interests of myself as well as this organisation. It has always been a collaborative experience wherein most of us worked with "ownership" centric attitude that led to early attainment of desired objectives. Unlike many other public sector companies in India, RailTel has been a strong competitor right from its inception and has delivered gloriously in the past 15 Years. It has given me the platform to build myself, take the challenges and perform successfully. The people here encourage you to experiment new ideas without fearing the possibility of failure. Working at RailTel gives me immense feeling of satisfaction, happiness and joy of work. A lot of opportunities are available to learn & to work simultaneously. People here are very co-operative & knowledgble. For me, it's been a place where we learn lots of things which link our technical knowledge with the practical environment. This pleasure is the epitome of all and can't be equated to anything. In the quest of drawing my career blueprint, I joined RailTel. 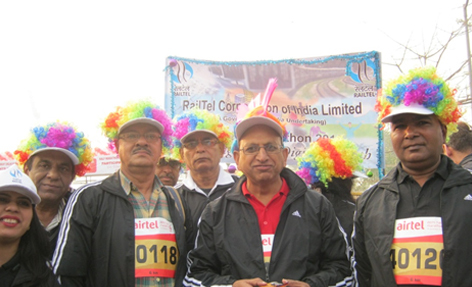 On day one, I had this firm belief that RailTel has a lot to offer with plethora of experiences. After 2 years of service, that belief has only strengthened. RailTel manoeuvres individuals to become professionals, professionals to excel as managers and managers to shine as leaders. The beauty of RailTel is your roles and responsibilities are defined; but one has to go beyond the specific tasks assigned to get the work done. This enables a holistic and wholesome erudition. Job profile is not limited and I end up doing many things. I hope to channelize this energy in my endeavor to pursue my passion rooted in technology and consultancy. RailTel takes immense pride in its employees who are its greatest asset. RailTel subscribes to the belief that efficiency, effectiveness and success of the organisation depends largely on the skills, abilities and the commitment of the employees. 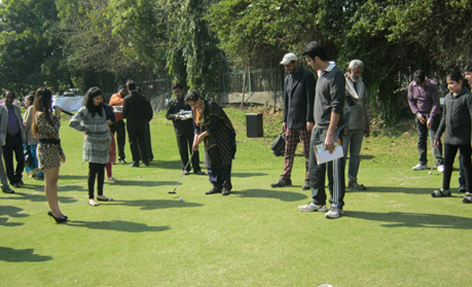 Therefore, a lot of emphasis is laid on the training and development of employees. In line with its objective of being a learning organisation, the company has continuously focused on training and development of its human resource. RailTel's view of employee development has a very wide perspective and is not constrained to job related inputs alone. The Training Policy at RailTel provides broad directions to guide the learning solutions and initiatives. 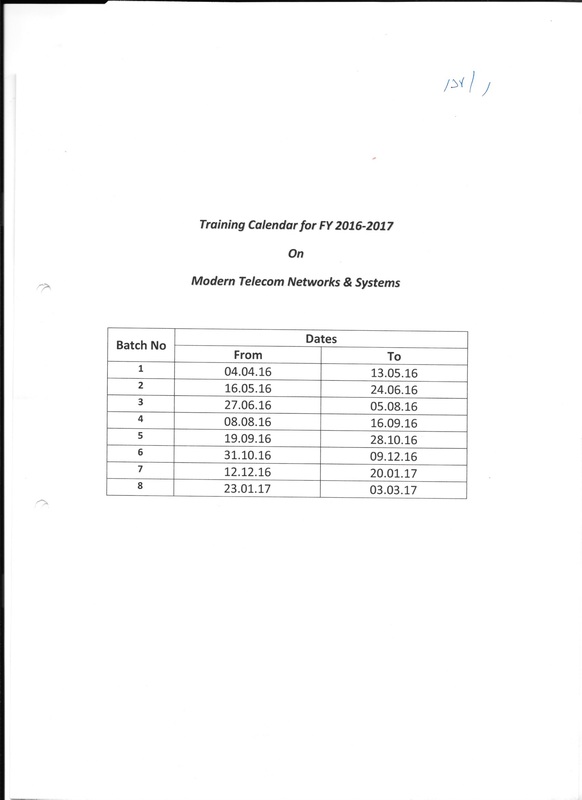 The training plan for the year for each Business Unit/Function is finalized after mutual discussions with them. The HEAD OF THE DEPARTMENT specific requirements due to the change in market scenario and thereby required competencies are delved upon. Then suitable Consultants/practitioners are identified and customized programs are designed in consultation with line functions. 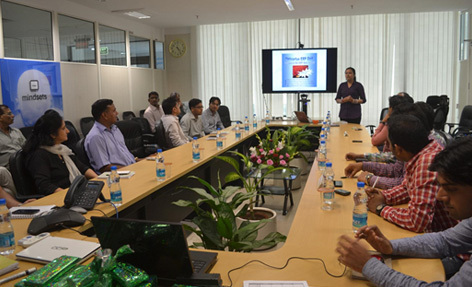 RAILTEL nominates officers for external seminars and conferences in connection with their functional requirements. 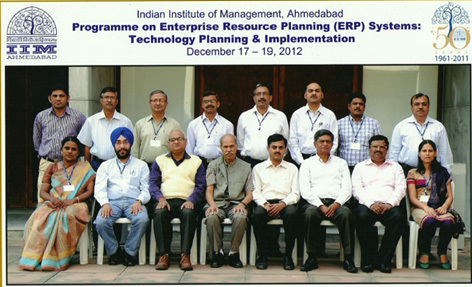 Advanced Management Programs are organized for officers of levels DGM and above, by reputed Business Schools like ASCI- Hyderabad, IIM`s, MDI-Gurgaon including visit to select foreign countries. RAILTEL also sponsors Study Tour for employee groups to enrich their knowledge and skills, a few employee groups for select foreign training to enrich their knowledge and skills, in the form of select foreign training. Students undergoing Graduate / Postgraduate professional courses from reputed Management and Engineering Institutions will be engaged for Summer Internship for a period of 6 to 8 weeks. 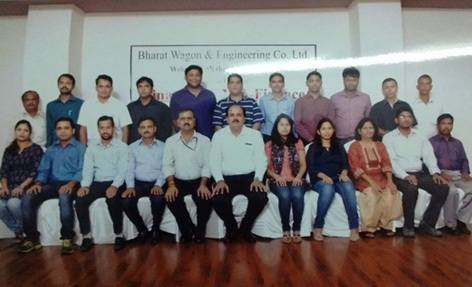 Finance Training for Non- Finance Executives, Conducted by Bharat Wagon & Engineering CO. Ltd at New Delhi. HARTRON PROJECT RECRUITMENT – List of provisionally shortlisted candidates for written examination & schedule of examination. HARTRON PROJECT RECRUITMENT – List of provisionally shortlisted candidates for interview for Post codes H-1 to H-9. HARTRON PROJECT RECRUITMENT – List of provisionally selected candidates for appointments on various posts (postcodes H-1 to H-9). Recruitment as GM(POM), Addl.GM(POM)/JGM(POM) – Extension of last date of receipt of applications in RailTel. Recruitment as Office Assistant (NOFN) (on contract basis). Postcode 1 to 13 & 15- final results (Ref: vacancy notice no. RCIL/2013/P&A/44/19). JGM(IT) (Postcode 17) – result of selection held on 04-12-2014 (Ref: vacancy notice no. RCIL/2013/P&A/44/19). Important Announcement For Candidates Shortlisted For Interview For MPLS Posts (Postcodes 6 To 9). JGM(IT) (Postcode 17) – list of applicants shortlisted for interview. Final Notice dated 12.06.2018 for termination of service of 13 executives.